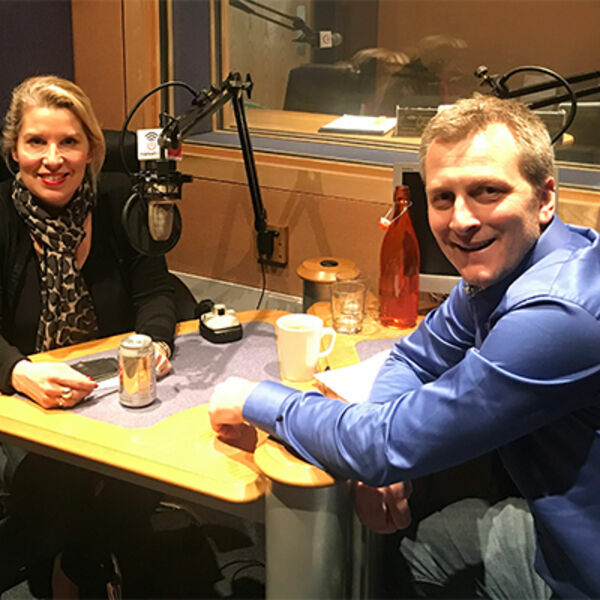 This week, on the PRmoment podcast in the latest of our life stories series, I’m pleased to welcome Molly Aldridge, Global CEO of M&C Saatchi Public Relations. Molly has worked for both large and small agencies, independent and networked. She joined M&C Saatchi Public Relations in 2012. The company has a fee income of circa £10m and employs circa 100 people. [00:03:32] The importance of PR being a good place for parents to come back to work after having children. [00:04:36] Why PR as a sector needs to make sure that it looks after working mums and dads otherwise you lose a whole set of talent certainly within the industry at a time when PR firms are struggling to find sufficient talent. [00:05:27] Why Molly's time at Cohn & Wolfe was such an important job in her career. [00:05:45] What makes a good public relations practitioner today. [00:06:50] Why PR needs great people brokers. [00:08:34] How sometimes a hotbed of exciting young agency talent can splinter to launch a number of different agencies. [00:10:00] Why an agency has to keep its momentum up. [00:10:03] Why the type of clients are a really important part of an agency’s momentum. [00:10:03] How an agency can lose its momentum. [00:12:29] The difference of working for a big agency compared with an independent agency. [00:14:57] Why you need to be a lot more autonomous, a lot more proactive and a lot more entrepreneurial in a smaller firm. [00:15:23] Why Molly's time at Henry's House was critical to the success of Slam. [00:15:46] Why success is a mixture of hard work and luck. [00:18:10] How the opportunity to create and lead Slam came about. [00:18:45] Why the launch of Slam would not have worked without Scott Wilson's sponsorship. [00:19:58] Why the launch of Slam worked when so many other consumer offers of large PR firms have failed. [00:20:20] Why rapid agency growth is much easier if you grow as your clients grow. [00:23:30] How Slam managed to grow at 30% year on year with a profit margin of 30% in the consumer PR market. [00:24:59] Why was Colin Byrne such a good mentor to Molly? [00:26:43] Why in a “US holding company world” you need someone at a senior level to have your back. [00:28:19] Why did Molly leave Slam - which she had grown to a multi-geography global PR firm - to join M&C Saatchi PR which at the time had a fee income of less that £1m? [00:31:08] Why the right opportunities should make you excited and terrified in equal measure. [00:31:37] Why Molly felt she'd taken Slam as far she could. [00:31:42] Why, because of its US-based ownership, Molly felt (at the end) the relationship was getting a bit parent-child like. [00:33:10] How Molly and Chris Hides have taken M&C Saatchi Public Relations from a fee income of circa £1 million to over £10 million. [00:33:54] Why growing an agency business quickly is really about relationships, people and hard work. [00:35:53] The mystery of why there is not more cross pollination of clients in multi-discipline marketing firms. [00:37:56] the In the absence of global British brands how has Molly grown M&C Saatchi Public Relations globally. [00:40:26] Why the partnership between Molly and Chris Hides works so well.